Writers love him, Malthouse argues, because he was such an original “world builder," not because he was a fine artist. Elizabeth Bear at Tor echoes the sentiment, writing that Lovecraft's work is "criticized for its style, for its purpleness and density and failures of structure,” yet still evokes such a potent response that “the Lovecraftian universe must be considered a collaborative effort at this point,” since so many writers have furthered his “appealingly bleak” vision. You can download a good part of his collected works in ebook and audiobook formats here. So perhaps he isn’t such a bad writer after all? In any case, he’s certainly a very distinctive one whose style, like Joseph Conrad’s, say, or even William Faulkner’s, endears readers precisely for its feverish excesses. 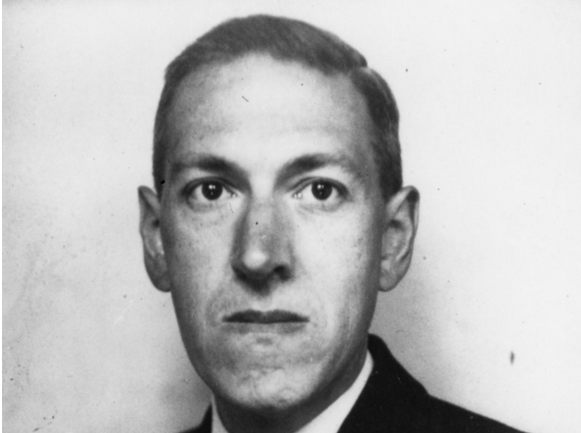 Lovecraft himself was very self-conscious about his craft and took writing very seriously—enough to have published a lengthy, highly detailed essay called “Literary Composition” which tackles in several paragraphs a host of issues the writer must contend with: grammar, “reading,” vocabulary, “elemental phrases,” description, narration, “fictional narration,” “unity, mass, coherence,” and “forms of composition.” We won’t recite the whole of his advice here—you can read the whole thing for yourself. But to give you some of the flavor of Lovecraft’s pedagogy, we bring you his list of twenty “types of mistakes” young writers make. See his complete list below. Erroneous plurals of nouns, as vallies or echos. Barbarous compound nouns, as viewpoint or upkeep. Erroneous use of shall and will, and of other auxiliary verbs. Erroneous use of non-Anglicised foreign forms, as “a strange phenomena”, or “two stratas of clouds”. Use of false or unauthorised words, as burglarise or supremest. Errors of taste, including vulgarisms, pompousness, repetition, vagueness, ambiguousness, colloquialism, bathos, bombast, pleonasm, tautology, harshness, mixed metaphor, and every sort of rhetorical awkwardness. Errors of spelling and punctuation, and confusion of forms such as that which leads many to place an apostrophe in the possessive pronoun its. Most of this is solid, common sense writing advice. Some of it isn’t. As with all things Lovecraft, you would be wise to use your discretion. A full read of Lovecraft’s treatise on composition will give you some sense of how to begin writing your own Lovecraft pastiche. For even more of his advice on the writing of fiction—particularly, as he called it, “weird fiction,” see his list of five tips for horror writing, which we featured in October. (8) Use of nouns for verbs, as “he motored to Boston”, or “he voiced a protest”. Right you are, thanks. Fixed it.